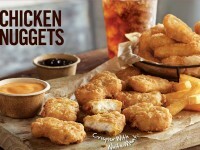 What is better than Wendy’s 4 for $4 deal, or McDonald’s McPick 2 for $2 deal? 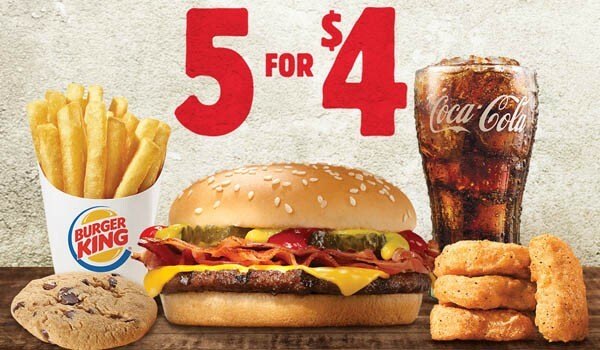 Well, Burger King thinks they can do one better with a 5 for $4 deal. My personal feeling would be that this deal, while essentially offering each item for 80 cents, is lacking in some big ways. Namely, a person doesn’t have the ability to customize the order. I, for example, never order a drink. They are also throwing in a few items, such as the cookie, or the 4 piece nuggets, that the value would be considerable less than 80 cents. All in all, if you like each of these items, it is probably a pretty good $4 deal.